When the German physicist Wilhelm Röntgen performed an experiment in November 1895, in which invisible cathode rays caused a cardboard screen to fluoresce, he could not have imagined how his discovery of X-rays would revolutionize the practice of medicine. It led to a new specialization – radiology – in which doctors were now able to peer inside the bodies of their human patients. Although X-ray machines were rapidly deployed in hospitals and doctors’ offices around the world, it would be another sixty years before this imaging modality was adapted for the diagnosis of breast cancer. A key contributor was Robert Egan, born in Arkansas in 1920, who trained as an engineer before serving in the US Navy during World War II. After the war he qualified as a medical doctor in Pittsburgh and his specialization in radiology took him to the MD Anderson Cancer Hospital in Houston. There he experimented with an X-ray film device made by Kodak and demonstrated his system to surgeons, gynaecologists and pathologists who were suitably impressed. And thus mammography, as we know it today, was born. As radiologists soon discovered, however, mammography was not the perfect imaging modality for diagnosing breast lesions since some tumours were simply not visible. 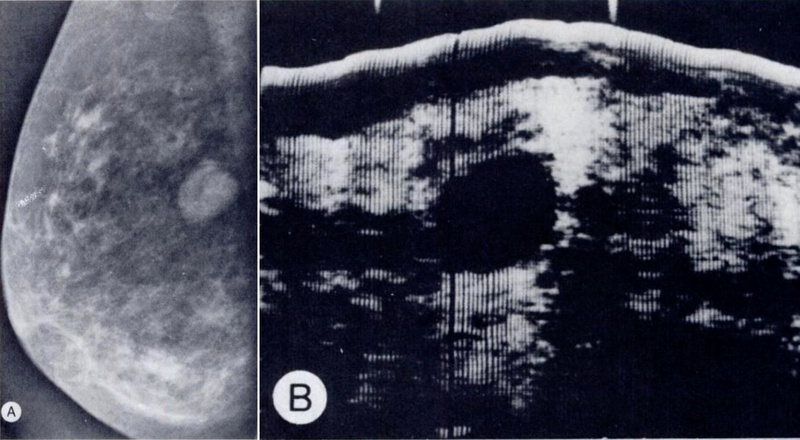 Ultrasound was the next useful modality, both hand-held and, as described in a previous blog, automated breast ultrasound (ABUS) first appeared in the 1960s. 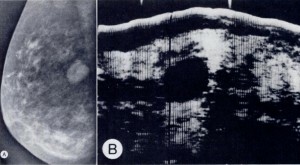 An early paper that combined analogue mammography with hand-held ultrasound was published by Teixidor and Kazan in the American Journal of Roentgenology in 1977. 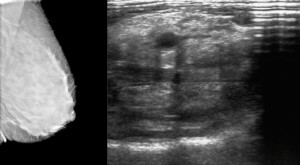 In 200 patients with breast masses, they demonstrated that by combining the two imaging modalities their success in correctly identifying the lesion type – cyst, carcinoma, fibro-adenoma, dysplasia or abscess – was significantly increased (see images above right). If we fast-forward to the present, at CapeRay we are currently studying the first images from the clinical trial of our Aceso system. 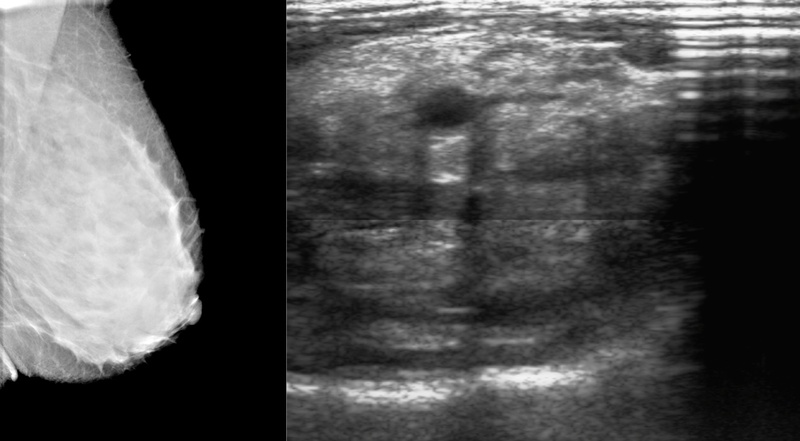 Seen at left is a full-field digital mammogram (FFDM) of the left breast of a young healthy volunteer who has dense tissue where there is no evidence of a lesion. However, as is evident in the corresponding ABUS image, there is clearly a small lesion that the clinicians have fortunately diagnosed as a benign cyst. Our dual-modality system is working! Two recent books, both entitled Multimodality Breast Imaging, one a correlative atlas and the other focused on diagnosis and treatment, highlight the many other modalities besides FFDM and ABUS that are available for the diagnosis of breast cancer. Can your system anatomically exactly and precisely superimpose the US and mammogram images on the computer screen, as well as allowing fade in and fade out of either by turning a dial? This would be the diagnostic Ferrari. And Lamborghini.